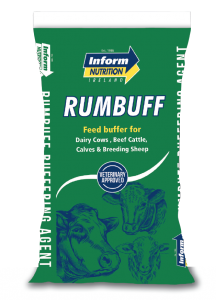 RUMBUFF is a breakthrough in the search for an ideal buffering agent. It has many properties, which make it the only and obvious choice for inclusion in feeds where a buffering agent is desirable. ✓ Good palatability makes it possible to achieve good intakes by mixing the product in silage. ✓Highly effective in counteracting low rumen pH.